1888 Indian Head cents are extremely common and are usually found in mixed-date rolls and bags of Indian Head pennies. Given the common nature of these pieces, they’re easily found at most coin dealer’s shops and are often available in bulk quantities. 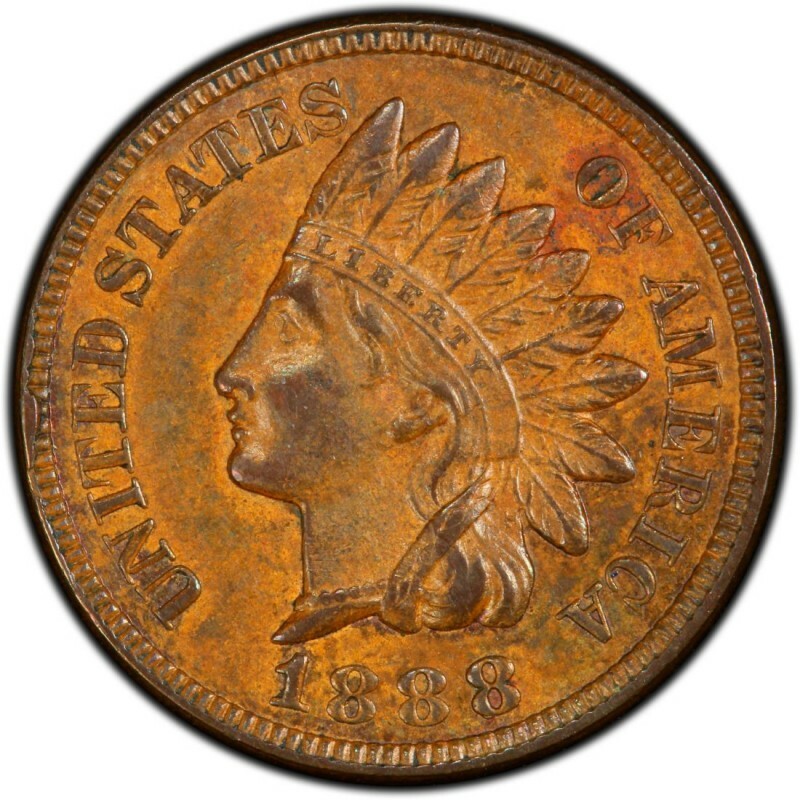 Most 1888 Indian Head pennies are readily available, as 37,489,832 were made. These retail for as little as $2.50 in a grade of Good-4. Proof examples are much scarcer, with only 4,582 having been produced; these sell for $5,400. There is one particularly rare overdate variety to note, and that is the 8/7 on the last “8” in the date. An unknown, but tiny, quantity of these coins is available. They retail for $1,000 in a grade of Good-4. James B. Longacre, who served as Chief Engraver of the United States Mint from 1844 until his death in 1869, designed the Indian Head penny. The first Indian Head pennies were made in 1859. 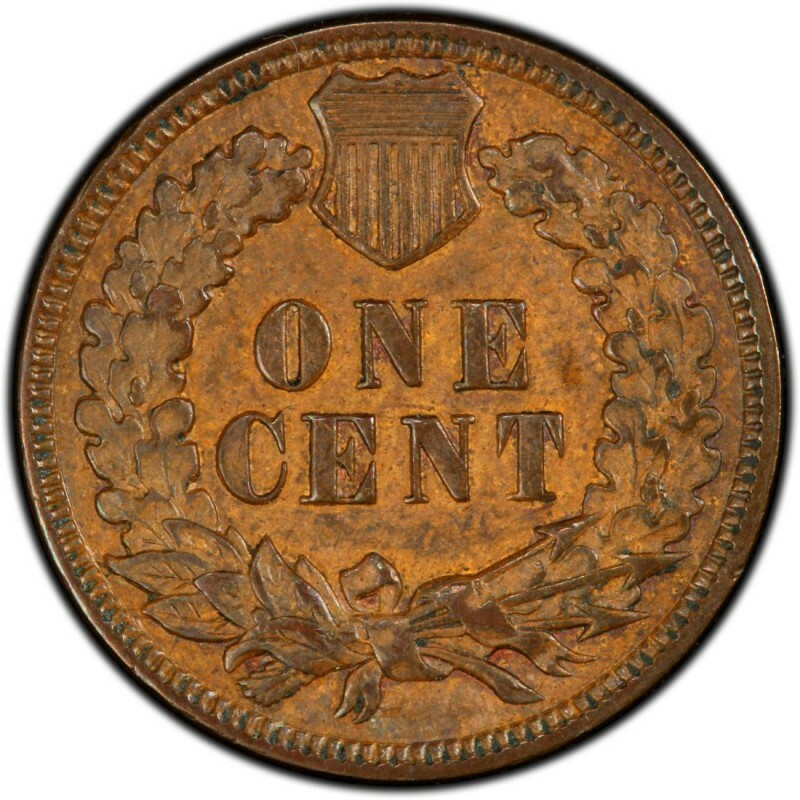 Longacre is also well known for designing the two-cent piece, which in 1864 became the first U.S. coin to bear the motto IN GOD WE TRUST. As for 1888 Indian Head pennies, many individuals believe they depict an actual Native American. This is actually a misnomer, as the figure on the coin is actually Miss Liberty, who was modeled after Longacre’s 12-year-old daughter, Sarah.